Photographers range in abilities and offerings. Deciding when and who you will hire to photograph your children is a very personal decision, usually based on style, budget, location and products offered. 1. 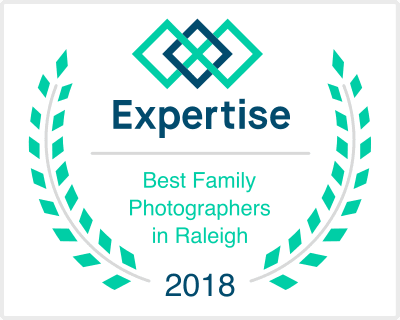 Why – I consider this to be one of the most, if not the most, important thing to think about when choosing a children’s or family photographer. Why do you want these images? Will you have a newborn? Is it a special age? Is it because you have a special holiday or event coming up? Do you want to document your days with your little ones? Looking to capture a toothless smile? Want to show a special relationship between a grandparent and a child? Do you need one large piece of art for your family room? Start with the end goal in mind when you search for a professional family photographer. 2. Style – Photographers tend to have a particular style in their images. You can get a good sense of a photographer’s style by going through their portfolio on their webpage. Facebook and Instagram feeds are another good place to look to get a feel for a photographer’s style. As a small business owner myself, I would recommend a smaller studio if it offers the style you prefer. This image is being used with the permission of its creator - Aurora D Photography. See more of her traditional portraiture HERE. Lifestyle - These sessions are also very well planned out as far as clothing and location (usually outdoors or in your home). The difference is in the resulting images. These have a more relaxed feel to them, people are usually interacting and not always looking at the camera, which results in photos that show more connections than smiles. People aren’t necessarily posed but are given directions by the photographer. This image is being used with the permission of its creator - Heidi Doroghazi Photography. See more of her traditional portraiture HERE. Documentary - During these sessions, the photographer is purely capturing action as it unfolds, documenting the child and family. Whatever the family is doing is photographed. These sessions can be in-home, they can be at a favorite place, they are basically wherever the family is. Think of the photographer as a “fly-on-the-wall” capturing the everyday moments. 3. Location – Photographs of your baby, children, and/or family can be taken just about anywhere. Typical options include: at a studio, in your home, at a park, on the beach, in a field, etc. Look through the photographer’s portfolio to see if they shoot in the type of location that you want for your family photos. 4. Products - Ask yourself: What are you planning to do with the images after they are taken? Are you planning to create a portrait wall or collage? Do you prefer canvas, metal, heirloom papers, etc.? Do you want an album or keepsake book to keep for yourself or to give to grandparents as a gift for Mother’s Day, Father’s Day, a special birthday, or holiday? Do you prefer digital images you can print on your own or not at all? Be sure you look at what products are offered by the studio. If you don’t know what something is, ask them about it. It’s probably on there because it’s amazing! How much do you want to spend on family photography? Some photography sessions have a lower buy-in price and then cost more on the back end. Hiring someone just starting out in the business will cost less than hiring someone that has been a photographer for a long time. What products, if any, are included in the session fee? Sometimes it is a payment for the photographer’s services and does not include products and sometimes photographers have all-inclusive pricing. Why does an 8x10 image cost $75 (or more?!?) when I can buy an 8x10 at Costco for a couple bucks? You may think that you are paying for a piece of paper that happens to have an image of your children or family on it. You are in fact paying for all the things, especially the photographer’s eye, education, equipment and creativity that went into making that beautiful family portrait for you. As with all purchases, you will get what you pay for. Choose wisely!